Last week, La MaMa’s Hidden Collections team finished cataloging Show Files materials through 1981, a year that marked the 20th Anniversary of the theater’s founding. 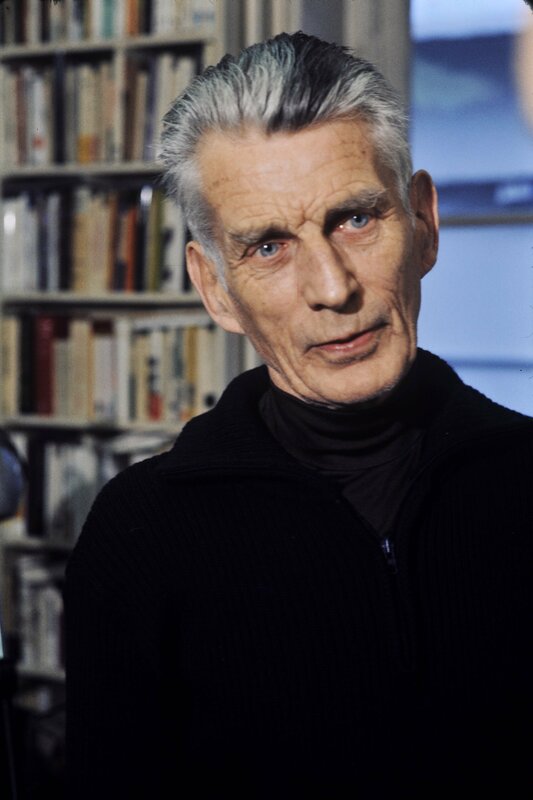 In those first 20 years, La MaMa hosted a dozen stagings of work by Samuel Beckett—including a 1971 Mabou Mines performance of two pieces in conjunction with “Red Horse Animation”; “Endgame” and “Krapp’s Last Tape” in the early 1970s; and “A Piece of Monologue”—a piece that Beckett wrote for David Warrilow—which premiered at La MaMa in 1979. We have cataloged documentation from each of these performances. Whitelaw’s appearance in the April 1981 production of “Rockaby” would have been a definitive performance, since the role of the Old Woman was written for her. But I was also shocked to learn (via her bio, as printed in the La MaMa program) that this marked her New York stage debut. This surprised me; I’d have thought that such an internationally renowned and influential actress would have made her New York debut much earlier in her career. Further, the production was directed by Alan Schneider, a personal friend of Beckett’s whose long and storied career included the direction of the premieres of many of the great playwright’s works. 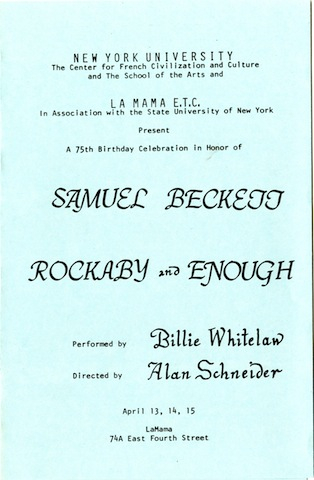 In addition to the show’s Program, La MaMa’s “Rockaby” Show File also contains newspaper reviews, and a program from when the show returned to New York City in February 1984. That production was produced by Lucille Lortel and performed at the newly-renamed Samuel Beckett Theater on 42nd Street. Sadly, the 1984 production ended up being the last Beckett play Alan Schneider would direct. A month later, in what has been called a “Beckettian” twist of fate, Schneider was in London, on his way to mail a letter to Beckett (commending him on the success of the “Rockaby” production in New York), when he was struck by a motorcycle and killed.